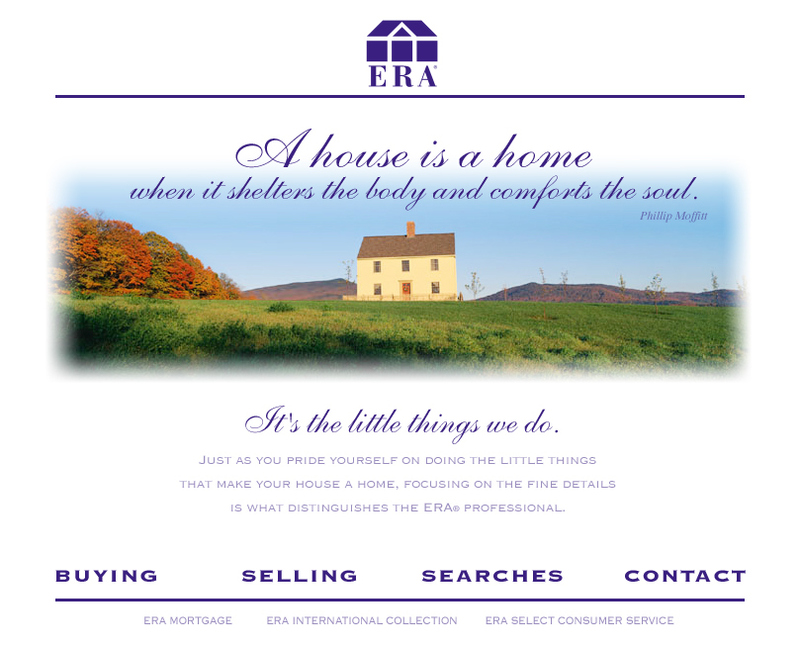 Home page design for ERA Realty. The other pages were laid out and built by their in-house design team based on this direction. Homepage concept design. The rest of the design was carried out by their in-house designers.